Living up to our commitment of Care~Inspire~Grow we’re proud to offer an exciting roster of amazing presentations that are intended to inform, excite and inspire. 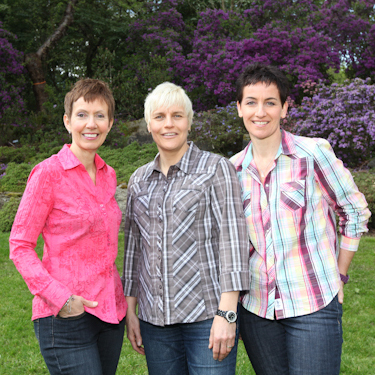 Drawing from years of experience and a sincere desire to inspire a love of gardening, the ladies of Botanus are happy to come and give a presentation to gardening clubs, schools, community events or anywhere people want to learn more about the amazing world of flower bulbs, perennials and so much more! If you are interested in finding out more about the various presentations and demonstrations that Botanus has to offer please email service@botanus.com or give us a call at 604-513-0100. Fees are dependant on the presentation type, time and location and can be discussed when the details of your event are known. We’re sure to have a topic that will be perfect for your event, club meeting or get-together so book your presentation today and be prepared for a fun and exciting time with the Botanus ladies! Thank you so much for coming to attend a meeting of the Hope Garden Club. On such a wet and windy November night it was enjoyable to have your company and the presentation. The presentation has to be the best one I have ever attended, Wendy is an awesome speaker. I loved the comparison between our gardens and our home and clothes. I've attached a photo of a quilt I am currently working on for our living room - I've transferred photos of flowers from our garden to fabric. I guess I'm guilty as charged for bringing the outdoors in! And I must also comment on the catalogue...definitely "eye candy" for any gardener! It's always such a treat when I open my mail box and find the catalogue waiting for me - it's straight home for a cuppa' and a bit of dream time. Just wanted to let you know that I’ve had so much positive feedback about Elke’s presentation over the last couple of days. People loved the additional emphasis on color and design, as well, the slightly more advanced level of knowledge presented was also much appreciated by the experienced gardeners among us – so you definitely exceeded expectations! Also, everyone is excited about their new bulbs, so thanks so much for bringing such a nice selection for us to select from. I know I’m really looking forward to my Amaryllis!